Mushrooms come in all shapes, sizes, flavors, textures, and rarities. One of my favorite varieties is the commonly found cremini (which is actually a baby portobello) and is readily available at pretty much any local market. Normally, I enjoy my mushrooms in pastas, stir-fry, or stews, but I recently had it in soup form. It was delicious! This is not the creamed and canned version most of us find familiar – this soup is jammed with sautéed mushrooms, has an earthy fragrance, and a crisp broth that lets the wonderful flavor of the mushrooms come forward onto your taste buds. 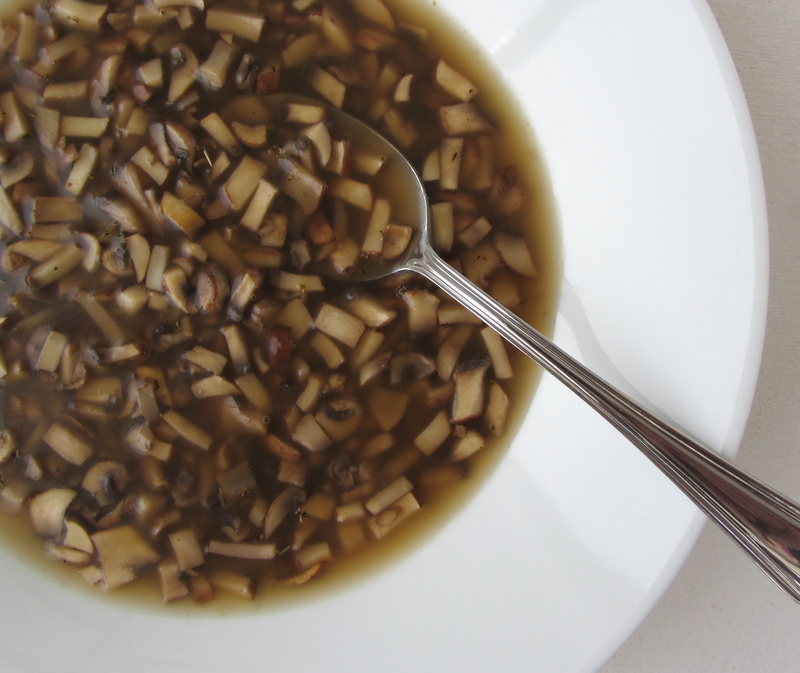 For all you mushroom lovers, this soup is dedicated to you! 1. Dice the mushrooms into a 1/4 inch size. 2. In a medium skillet set over a low flame, heat about 1 tablespoon of olive oil, then add the mushrooms and cook until they begin to sweat and release their moisture. Add a pinch of oregano and season to taste with salt and pepper. Continue to sauté until the mushrooms have browned. 3. Add the vegetable stock to the pan, stir to combine. Once the soup has returned to a simmer, remove from heat and serve.